Having a good air conditioning system when you live in Texas is an absolute necessity for all homeowners. We get some seriously hot weather around here, and making sure your air conditioning system works well when you need it to is a big priority. Switzerland Air is proud to offer complete air conditioning services, including AC repair, installation and maintenance in Lake Jackson, TX and the surrounding area. 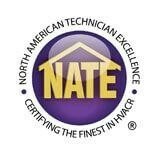 Our technicians are NATE–certified and have experience working with all kinds of air conditioning systems. We offer a 100% satisfaction guarantee on all our work and will make things right if something goes wrong with a repair job that we did. Call us today for any air conditioning installation or service in the Lake Jackson and Angleton, TX areas. If you’re experiencing trouble with your air conditioning unit you are probably looking to get that fixed immediately. Don’t let your family struggle in the hot Texas heat – for Lake Jackson, TX air conditioning repair call Switzerland Air. If something goes wrong with your AC unit you want it to get fixed fast, we’re the number to call. Whether it’s a strange sound from your AC system or if your air conditioning system isn’t producing any cool air, we will quickly diagnose and treat the issue at hand. We also provide central AC repair services to the Lake Jackson, TX area. Don’t hesitate to give us a call, we offer 24–hour emergency air conditioning services throughout Lake Jackson, TX and the surrounding area. Heat Pumps – Heat pumps provide comfortable and efficient heating and cooling all in one system. If you need heat pump installation or repair services in Lake Jackson, TX call Switzerland Air today! Our heat pump technicians have worked on all different types and brands of heat pumps in Lake Jackson, TX and the surrounding area. Thermostats – The thermostats in your home are critical to your comfort and to the efficient operation of your Lake Jackson home. If you’ve started to notice that you aren’t getting enough heat or cool air in your home, it could be because your thermostats are broken. Call the experts at Switzerland Air thermostat repairs in Lake Jackson, TX and the surrounding area. We also offer upgrade services on smart thermostats! Avoid the need for larger repairs with the use of regular air conditioning maintenance visits. Our priority AC maintenance plan earns you regular air conditioning tune–up visits as well as front–of–the–line and after–hour service in the case of an emergency. Our maintenance visits enable us to find smaller issues before they become a big problem. With routine cleaning and maintenance on your air conditioner, you’ll help your system last – even through the warmest weather. We will make sure that your Lake Jackson air conditioner is running in top shape year round keeping your family safe. If you’re interested in learning more about our air conditioning maintenance plans, give us a call today! Whether you need quick AC repair or installation of a new air conditioning system, Switzerland Air is the trusted choice. Give us a call today to schedule air conditioning services in Lake Jackson, TX and the surrounding area! We’ll have an AC technician to your home in no time.